This page is to help parents understand the Boy Scout program and ways a parent can help their son succeed and have a great experience. 2014_0731ImportanceofScouting (1).doc Why Scouting is important to your family. Beneifits of Scouting.JPG What are the benefits of the Scouting program? One Hundred Scouts.doc What happens to 100 boys that join Scouts? What Adults Do on Scout Campouts.doc Can I Camp with the Troop and what do adults do on campouts? We are committed to providing an exciting, challenging and fun environment to develop boys into strong independent leaders. To accomplish this goal we subscribe to the Aims of Scouting and the 8 methods of scouting.We keep in mind that the program is all about the Scouts. 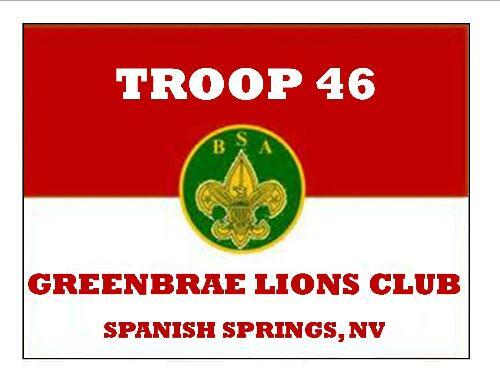 Troop 46 firmly believes that Scouts should run the troop in developing and executing the program. A boy led troop allows greater participation and growth inboys as they mature in young responsible men. One of our Scoutmaster’s most important responsibilities is to provide the direction, coaching, and training that empowers the boy with the skills he will need to lead the troop. Perfection is NOT the goal – doing your best and learning from your mistakes is. Scouts learn to become responsible for themselves and others through learning common-sense skills, the importance of teamwork, participating in outdoor activities, and assuming roles of leadership and responsibility. 1. Scouting Ideals – We expect our Scouts to live according to the tenants of the Scout Oath, Law,Motto, and Slogan. 3. Outdoors – The outdoor program is a very major part of Scouting. It's were a Scout learns self reliance and gets to practice the skills he's learned. If a Scout doesn't participate in camping and other trips,he is missing a very important part of the program. 4. Advancement - Advancement should be a byproduct of having fun and learning new skills. If a Scout participates, he will get advancement requirements completed as a natural part of the Scouting program. 5. Personal Growth - We believe that the true purpose of participating in Scouting is to grow as a person, to learn leadership skills and develop self-confidence and perseverance in everything we do. 6. Adult Association- Through guidance and support adults in Scouting create the environment the Scouts need to take advantage of these methods. The Scout learns to work with other adult sand develops the skills needed to navigate the adult world. 7. Leadership Development- Every Boy Scout has the opportunity to participate in both shared and total leadership situations. Understanding the concepts of leadership helps a boy accept the leadership role of others and guides him toward the citizenship aim of Scouting. 8 Uniform – Scouting is a game with a purpose.Would you want to play on the school baseball team without a uniform?